Just a reminder the Melissa Shirley Trunk Show ends July 24. If you can't get to the shop or don't live in the area call us with your order. You can see all of Melissa's beautiful canvases on her web site: www.melissashirleydesigns.com. Remember you receive a 20 % discount on your Melissa Shirley canvases during the show. Lastly we are having a special workshop with Brenda Hart September 16. 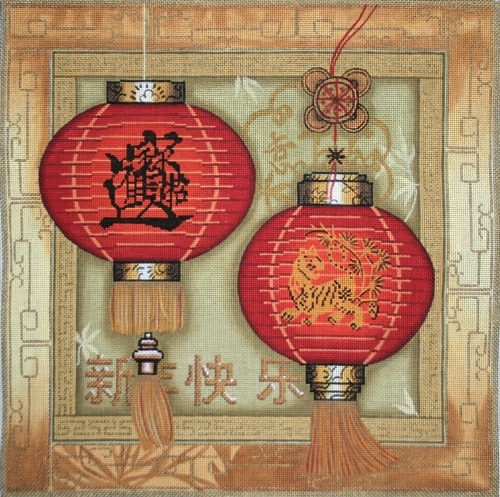 She will be teaching the new Lani Lantern canvas. The class will run from 3 to 8. Dinner will be included. Class size is limited so let us know if you are interested. The cost of the canvas is $220. Materials and class fee will be set soon.